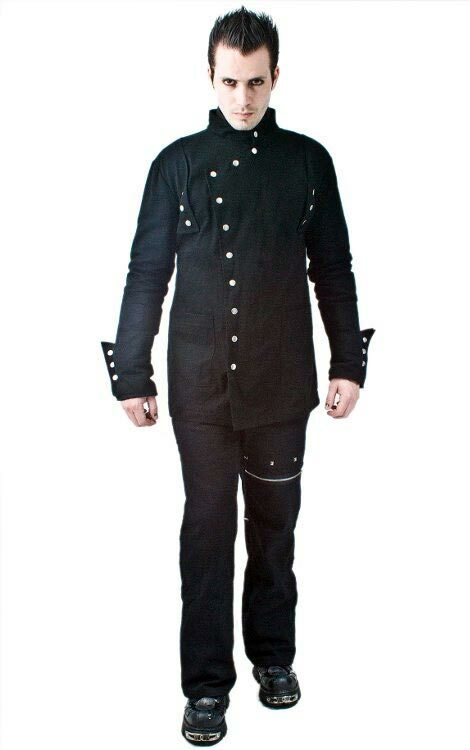 Black twill men's jacket with asymmetrical front fastening up to a granddad style collar. This stylish jacket also has shoulder flaps that are anchored with the same silver colored poppers found down the front and also on the extra length cuffs. It also sports side pockets. Shown with Lothur Mens Zip and Pyramid Stud Jeans.